For more than 20 years, LACROIX Electronics has been providing its expertise to world leaders in the home & building automation market for thermal comfort, energy engineering, building safety and even theautomation of connected habitats. 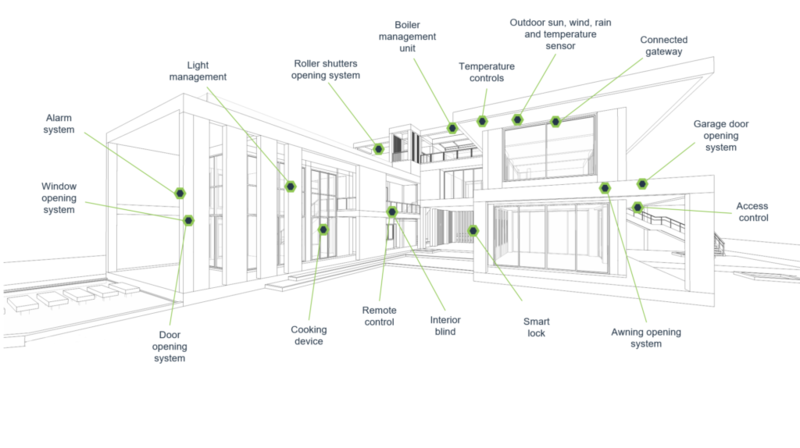 Our expertise in the design and production of connected objects and embedded systems allows us to respond favourably to the expectations of our customers, who are stakeholders of Smart Homes & and Smart Buildings. Thanks to our engineering office and our factories, we can offer customised services for every project. Whether it’s circuit boards or complete products and whether they are produced in small or large numbers, we support our customers by providing reliable, flexible and competitive solutions. From home & building automation sensors to connected locks, LACROIX Electronics will support you in the development of your projects to provide more secure and better-connected buildings. Together, let’s develop the Smart Homes and Smart Buildings of tomorrow! Because your customers are constantly waiting for new developments and innovations, we offer you support throughout all stages of your products’ life cycles. Thanks to our engineering office, LACROIX Electronics can guarantee that we’ll understand and be able to manage the specifics of your product. We are particularly experienced in the development of features which use radiofrequency communications technologies and products that require expertise in mechatronics. We are also experts in the methodologies and tools of obsolescence management and “redesign to cost” to optimise the life of your product. To meet all the technical challenges that you propose to us, we have developed a network of expert suppliers. We thus count on the best minds to offer you innovative active solutions. A perfect example is our partnership with Witekio, a specialist in embedded software systems. They support us by offering complete solutions ranging from design to the production of “IoT” connected objects.